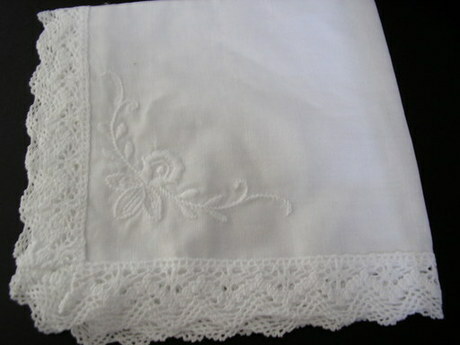 These are beautiful white lace and linen handkerchiefs with some embroidery one corner. 11"" by 11" approx. Perfect for weddings. These hankies were used in the an Anthony Hopkins film which was set in Victorian Days. Comes in a clear packet.